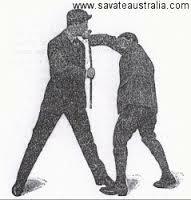 Fist hip and shillelagh- Taught by me, a class combining stick, boxing and wrestling in the Irish tradition. Broadsword and targe- taught by Chris Thompson, great class on targe(we ended up using bucklers) in conjunction with the Broadsword. Agrippa- Taught by Randal Gustitis, really interesting class that got cut short once the lightning started. We went back to my house and finished up the class using bowie knives due to lack of space. Bowie knife- taught by Kirk Lawson. After the rain died down we ran through this class that was a surprise to Kirk:) But he did a great job. WWI Bayonet- taught by Kirk Lawson, great fun class with nice rifle bayonet trainers alongside the real thing. Simple and easy to understand. just my sort of class. 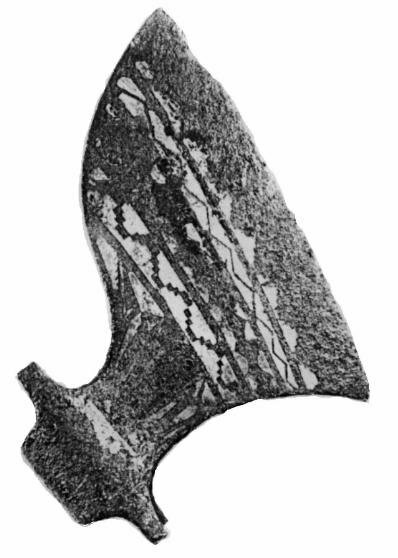 Sparth Axe- Taught by Ken Pfrenger and Chris Thompson. Chris handled the history while I demoed the use of the big axe going through the 10 lessons as set forth by the Cateran Society. CQC knife entries- Taught by Tim Anderson. Fun class with little int he way of actual technique instruction…we all have our own way of doing things, what he gave us were suggestions and ways to train. Nice stuff. MacGregor’s bayonet and some combatives concepts- Taught by Chris Thompson, quick run through MacGregor’s bayonet then some work on combatives for an upcoming project. Zachary Wylde’s staff- taught by Randal Gustitis, simple but interesting system of staff play from 1711. Numbers way down this year. We may change location and take this on the road to Dayton next year. Or still hold it here and do a second event in Dayton in the fall. Still in the works. s always the social aspect of events like this were very important, seeing old friends, making new ones and sharing food drink and martial arts make this sort of thing the highlight of my year. I want to thank all that were able to make it out to teach and learn and thank those who tired to make it but came up a bit short.There is always next year or the year after that. Super late with report but I figured I would get it done before writing the one for tomorrow. Just Chris and I on Sunday. He has an MMA fight coming up on the 22nd so lots of work to get done. There was plenty of of video of his opponent online so we went over what we saw and decided that the guy who he was fighting was definitely game but lacking in some crucial areas, most glaring was his boxing. Definitely tough and a guy who comes to fight but a little on the raw and wild side. So what we did was work on standing sparring…1st 2 rounds of shadow boxing then 2 rounds of focus mitt work. Then 10 rounds of light sparring working through things rather than trying to just band through the round. Also my nose is still broke and getting drilled in the face is not up there on my list of things to do right now, not too mention, this is a bad time for Chris to get a cut. Just best to take it easy and work on the mental game rather than the physical at such a time as this. After the sparring we talked more about what we did and made some simple game plans to follow. We finished the session with some test bash…bought a bunch of coconuts at a auction last Monday, more than we could possibly use and some seemed a bit old. We found a simple stand to use and bashed the coconuts with: e-tool, mace and Cold Steel poly shillelagh. I had always heard that a coconut was about as tough as a human skull, don’t know if that is true or not but we had a jolly good time smashing in pretend skulls. All thee weapons did great as skull smashers. Will definitely do this again. Looking forward to tomorrow’s session, gonna work on more boxing and burning a few ideas into the head. No regulars this week. Instead I gave an introduction lesson to a young wrestler and his father. He has possible mma aspirations…not a lick of striking experience though so I got him moving with footwork and three basic punches: straight lead, straight rear and rounding blow with inverted fist. He picked these up rather well and by the end of the lesson was already get a little umph behind his punches. We touched a bit on defense as well, letting him parry my straight lead while working the focus mitts. His older brother should be coming out with him this coming Sunday. 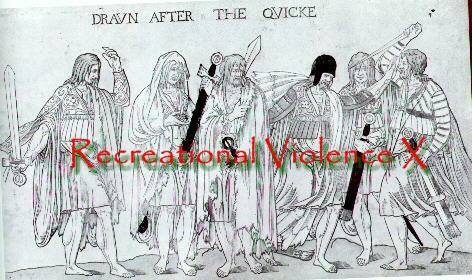 Also getting ready for Recreational Violence VII on August 11-12.